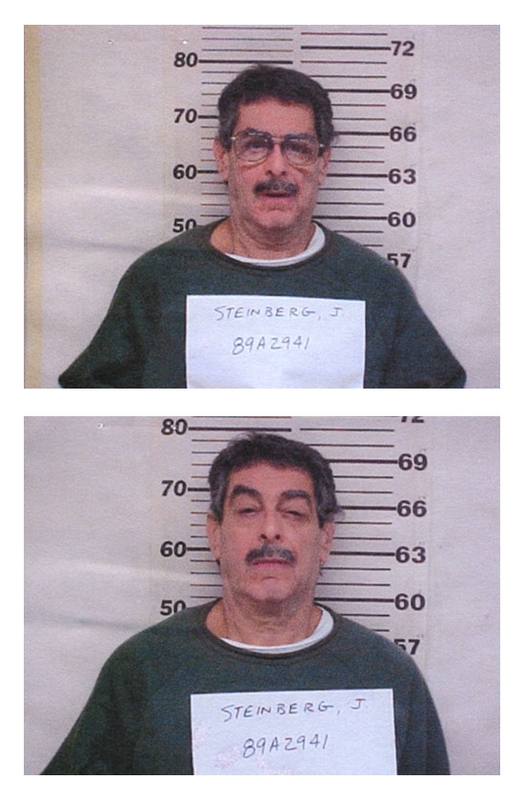 Joel Steinberg, who was convicted of the 1987 beating death of his 6-year-old daughter, is pictured here in a New York State Department of Correctional Services mug shot. The former lawyer, who was sentenced to a maximum of 25 years in prison, is scheduled to be freed in June 2004 under a state law requiring the release of inmates who have served two-thirds of their sentence and stayed out of trouble while incarcerated. He is currently locked up in the Southport Correctional Facility. Submitted by kane's the name on Tue, 2011-05-03 10:33.
what a soulless and heartless monster, hope you burn in the very deepest pits of hell, fu#cker. Submitted by lisasmurf82 on Tue, 2011-03-29 15:40. Submitted by lmowery on Fri, 2010-10-01 12:11.
wHAT A BIG MANLY MAN IT TAKES TO BEAT A SIX YEAR OLD. yOU MUST FEEL LIKE HERCULES. YOUR FAMILY MUST BE SO PROUD.....LOSER. Submitted by Lexi The Thinker on Sat, 2010-10-09 15:13. Yes, because I am sure this man, whom has to watch his back in prison as it is for being a child killer, is going to get on here, read that comment, and his life will be changed because you took your time to write that horrible looking comment. Way to go to better the world. Don't even suggest ways for him to better himself, since he is apparently going to see it. And yes, I realize you may never see this, but if I have to look at the eye sores you are posting, I am at least going to leave you little memos for if and when you look here again. Submitted by starla on Wed, 2010-09-08 19:12. Truthbetold your atrocious.I've seen other comments you have left on other things. ex:(S. Peterson). Submitted by truthbetold on Wed, 2010-09-01 04:08. Submitted by mel on Sat, 2010-08-07 21:06.
biggest piece of garbage on earth!